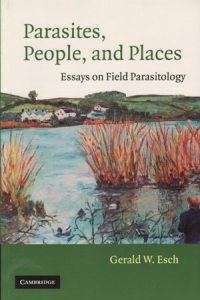 Parasites, people, and places: essays of field parasitology. Professor Gerald W. Esch is one of the world’s leading ecological parasitologists. Here, he presents a series of essays on classic examples of field parasitology. The essays focus on the significance of the work and its contribution to the field but also on the people and particularly the sites at which the work took place. Taken together, the essays represent a beautifully written account of the development of an entire field of scientific endeavour spanning a period of 50 years or more. The essays are not meant to be academic in a scientific sense, but there is a great deal of science in them. The book will be of great value to all parasitologists and ecologists, but also to anyone interested in how biological field work is carried out and how it contributes to greater understanding of the natural world. A collection of linked essays on the topic of biological evolution. 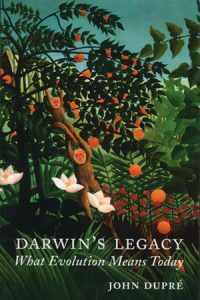 The first half of the book explores most of the main theoretical controversies about evolution and selection, while the second half applies some of these ideas in considering cognitive evolution. Together, the essays form a coherent whole that defends not just an overall conception of evolution, but also a distinctive take on cognitive evolution. 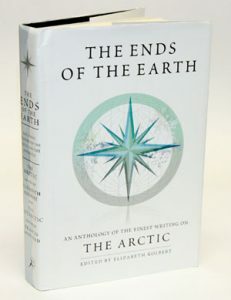 The ends of the earth an anthology of the finest writing on: the Arctic: and the Antarctic. Artist/Author: Kolbert, Elizabeth and Francis Spufford, editors. WAS $55. 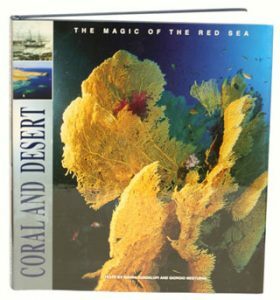 Two books in one. The Arctic is edited by Elizabeth Kolbert. The Antarctic is edited by Francis Spufford. This outstanding anthology includes writing by legendary polar explorers as well as by such contemporary writers as Jon Krakauer, Jack London, Diane Ackerman, Barry Lopez, and Ursula K. LeGuin. Darwin’s legacy: what evolution means today. WAS $35. Demonstrates that though aspects of evolutionary theory remain controversial, and issues remain to be settled, there can no longer be any doubt that the basis of the theory is true. Dupre examines the consequences of this for our view of human nature, religion, and non-human animals. He also investigates the appropriation of evolutionary biology by psychologists, finding their claims to be largely spurious. Artist/Author: Hutchings, Pat and Daniel Lunney, editors. WAS $60. Transactions of the Royal Zoological Society of New South Wales. A series of papers resulting from a one day forum held in October 2002 by the Royal Zoological Society. 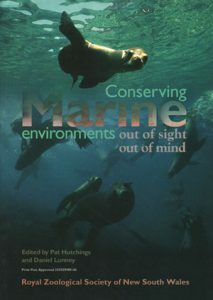 This book is a high water mark in capturing the range of skills that are needed to see and conserve out marine environments. WAS $60. Transactions of the Royal Zoological Society of New South Wales. 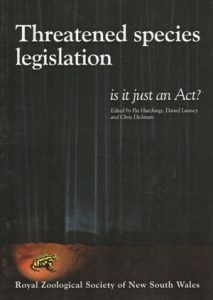 A collection of papers from the 2003 Royal Zoological Society forum in which speakers addressed different aspects of threatened species legislation, from the question of assessing the certainty of the scientists on the committees which decide which species should be on the lists, to the impact on various affected parties, including government agencies, consultants and community groups. A centerpiece is the view from those who look at the effectiveness of the law, whether from the legal angle or from the biologist coming to grips with the law as an instrument to conserve biodiversity. Conservation of Australia’s forest fauna. WAS $60. Transactions of the Royal Zoological Society of New South Wales. An all new, fully revised and outstanding series of papers on current issues in the conservation of forest fauna. 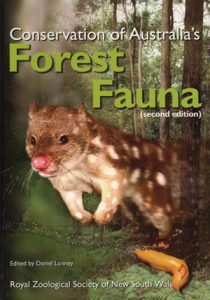 The book contains over 1000 pages and more than 60 articles from Australia’s leading forest ecologists. This volume is essential for anyone interested in the management of our forest wildlife. Artist/Author: Dickman, Chris, Daniel Lunney and Shelley Burgin, editors. WAS $75. Transactions of the Royal Zoological Society of New South Wales. 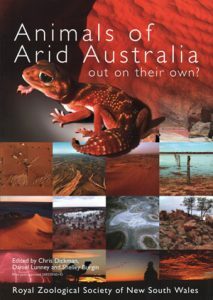 This book records an RZS forum that discussed whether the animals of arid Australia are ‘out on their own’ in terms of their unique adaptations for desert life, our distant view of them, and their prospects for the future. The arid zone of Australia is simply too large, too diverse and covered by too many jurisdictions to be encompassed by a single view. It was therefore appropriate that the forum drew together a wide range of skills and outlooks on the history, fauna and management of the arid lands of Australia. As editors, we were dazzled by wonderful photos in scientific presentations. We are delighted to be able to show the arid zone, and the animals in particular, in all their gorgeous colours, as well as to present images of how work is carried out by various researchers. All of this visual material contributes to our grasp of this vast stretch of Australia that is the home to so few Australians. We look forward to a blooming of interest in arid Australia, its diverse fauna and its diverse players. Pest or guest: the zoology of overabundance. Artist/Author: Lunney, Daniel, Peggy Eby, Pat Hutchings and Shelley Burgin, editors. WAS $75. Transactions of the Royal Zoological Society of New South Wales. In an era when the decline in biodiversity is widely presented as an extinction crisis, there exists the converse problem of overabundance both of native species and alien invading species. Exotic pest species are one of the main threats to the conservation of Australia’s biodiversity. Some arrived as welcome guests, such as cane toads or deer, when the ecology of invasions had been little studied. 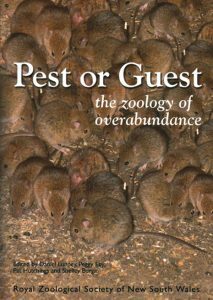 The 2005 forum of the Royal Zoological Society of New South Wales was entitled: “Pest or guest: the zoology of overabundance”. 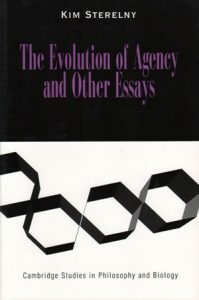 It has remained as the title of this book. With cane toads there is now no ambiguity. They are a pest, they are reviled and they are conspicuously non Australian, yet in 1935 they entered as a guest species in became a failed attempt at the control of a beetle in the sugar cane crops. By contrast, many native species have been regarded as a pest in some locations at some periods, but here the definition of pest is more problematic, at the very least it generates a robust discussion. At the outer extreme is the concept of too many people. It is one of the world’s most pressing ecological problems, yet one where there is the least satisfactory resolution. The ecological reasoning is the same for cane toads, native species or people. The issue is the concept of overabundance. 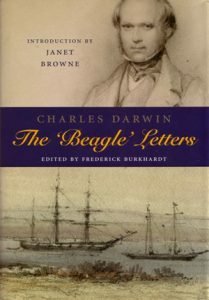 Charles Darwin: the Beagle letters. WAS $60. Charles Darwin’s voyage on the HMS Beagle is a gripping adventure story, and a turning point in the making of the modern world. Brought together here in chronological order, the letters he wrote and received during his trip provide a first-hand account of a voyage of discovery that was as much personal as intellectual. We follow Darwin’s adventures as he prepares for his travels, lands on his first tropical island, watches an earthquake level a city, and learns how to catch ostriches from a running horse. We witness slavery, political revolution, and epidemic disease, and share the otherworldly experience of landing on the Galapagos Islands and collecting specimens. His letters are counterpoised by replies from family and friends that record a comfortable, intimate world back in England. Original watercolours by the ship’s artist Conrad Martens vividly bring to life Darwin’s descriptions of his travels. 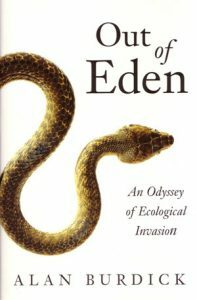 Out of Eden: an odyssey of ecological invasion. In this stunning work of narrative nonfiction, the author tours the front lines of ecological invasion- in Hawaii, Tasmania, Guam, San Francisco, in lush rain forests, through underground lava tubes, on the deck of an Alaska-bound oil tanker.